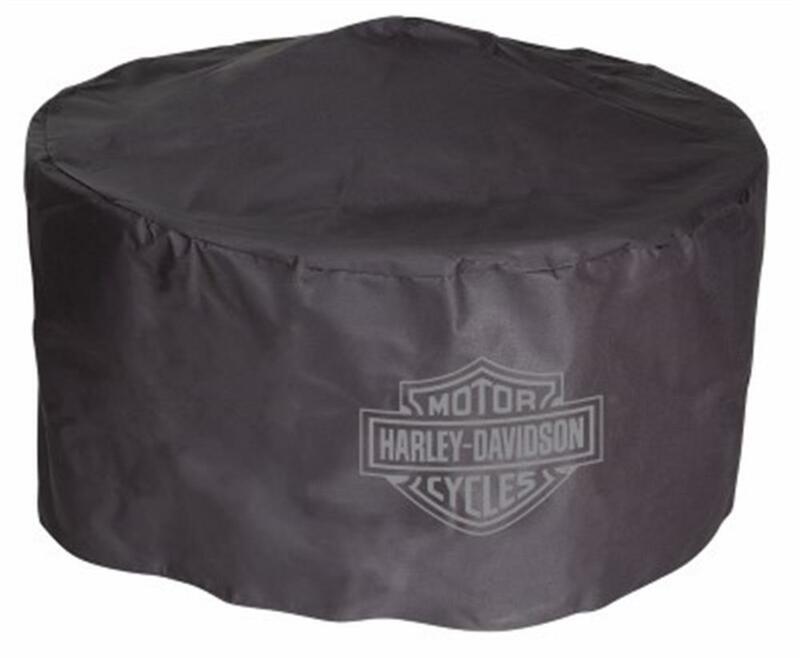 Harley-Davidson® Bar & Shield Firepit HDL-10066 - California Car Cover Co.
Long ride? Take a load off and gather round this cool H-D® fire pit. The striking Bar & Shield logo is embossed on the side of this durable steel ring and wicked flames are laser cut into the sides and covered with mesh. The outer safety ring holds danger at bay and a metal grate and lifting tool provide easy access and effective containment. 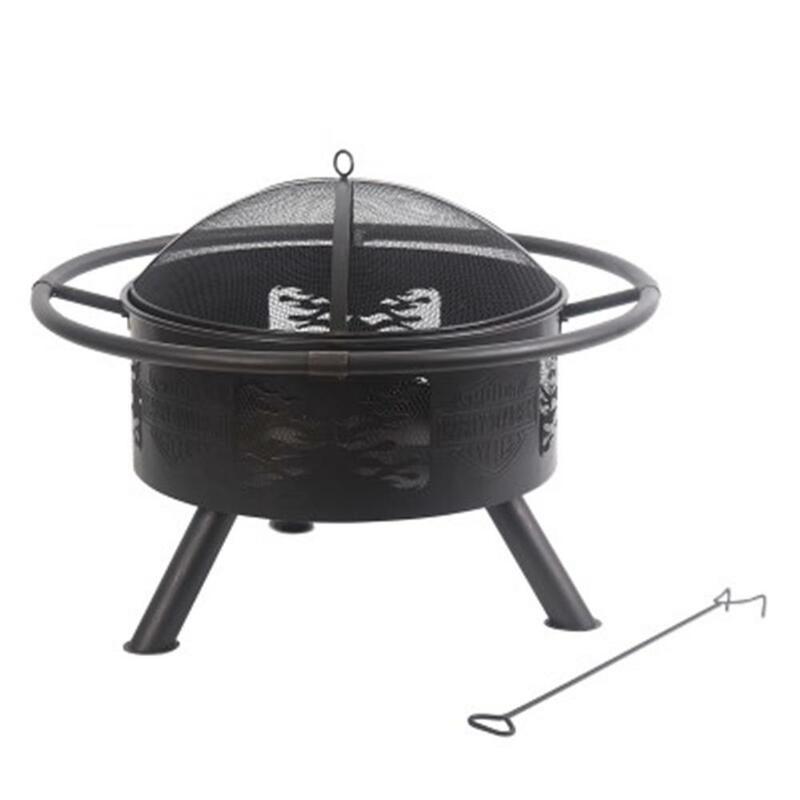 When you're not using this backyard warmer, the black vinyl cover will keep it rust-free. Assembles easily. Outdoor use only, folks. Measures 23.5" H x 32" diameter.